One of the greatest perks and blessings of having a large social media community to call upon when needed is that I can gather personal recommendations from like-minded people for pretty much anything! Sure, I could always just consult travel sites for recommendations, but I never know if I can fully trust the reviews. But you know who I do trust? YOU! YOU all know what we all like around here! 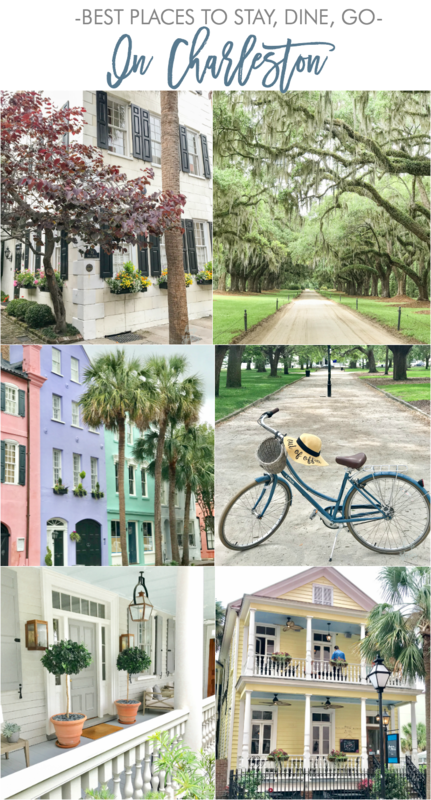 So last week, I asked all of you on my Instagram Stories for your favorite places to stay, dine, and do in Charleston, SC and you all delivered. There were so many fantastic and enthusiastic recommendations that I wish we had more time (and money) to try them all! 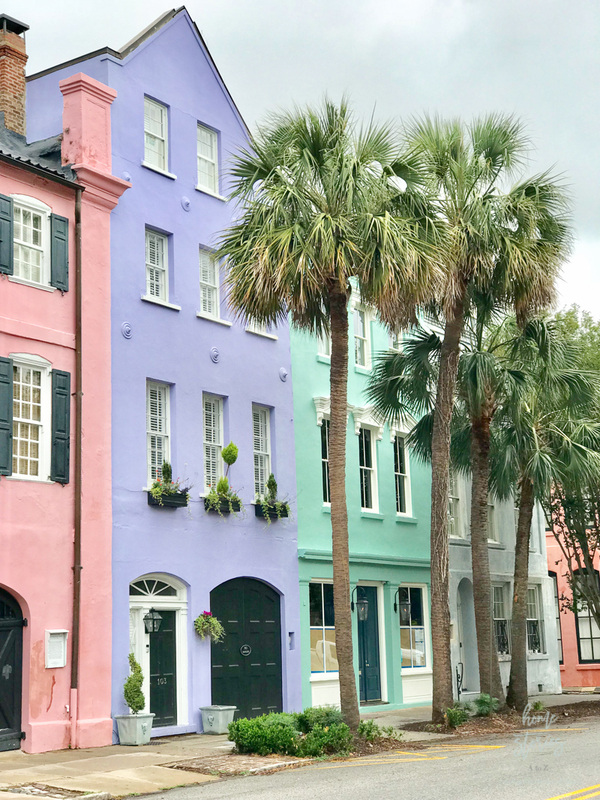 I will be headed back to Charleston in July for the Haven Conference and look forward to tackling a few more on the list. Below is the full list of ALL of the tried & true recommendations I received. 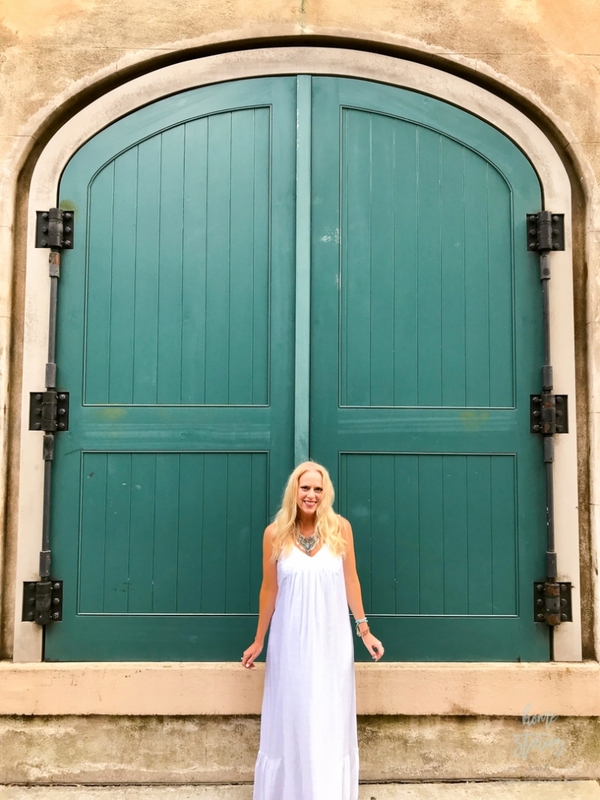 Read on to see our exact itinerary and my review of each experience! Picture of the porch at 86 Cannon. 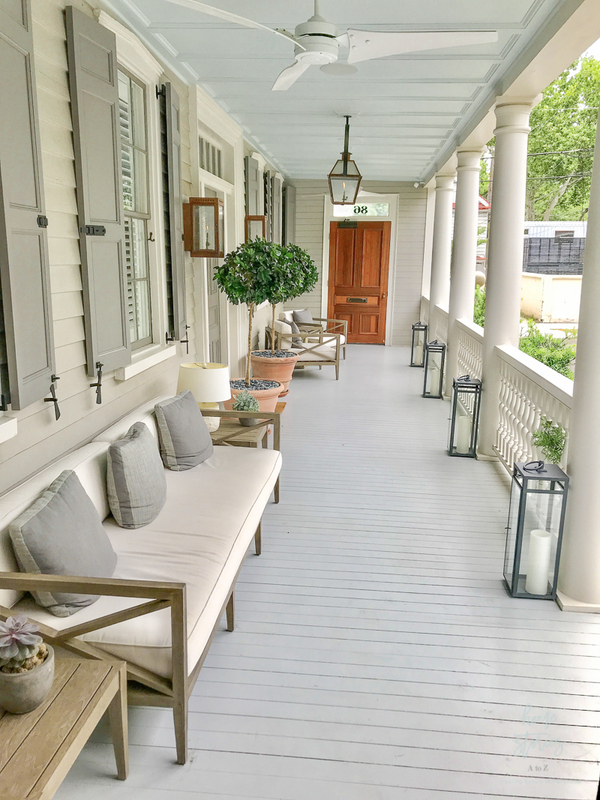 The exterior of Poogan’s Porch which is across the street from the Mill’s House and right next to HUSK restaurant. 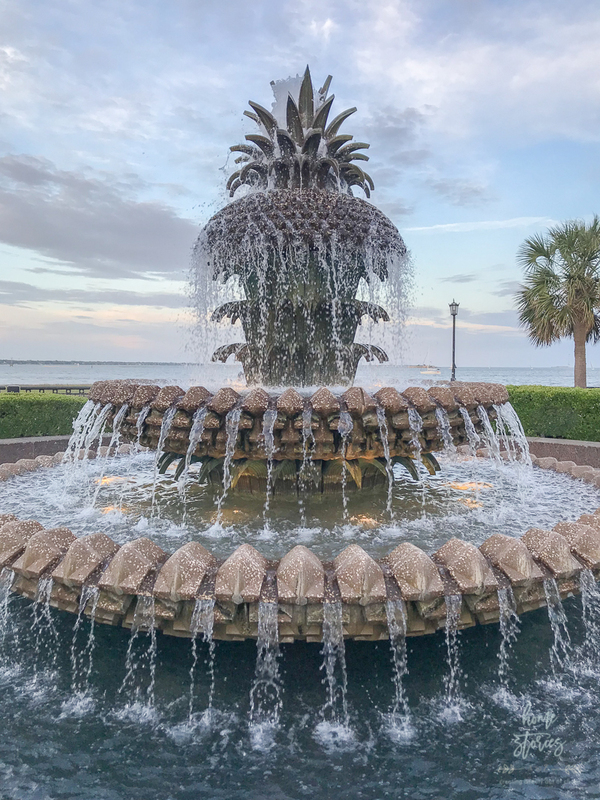 The Pineapple Fountain at Riley Waterfront Park. Complimentary hotel bikes for bike-riding South of Broad. Rest & relax at hotel and take part in complimentary wine & cheese hour. 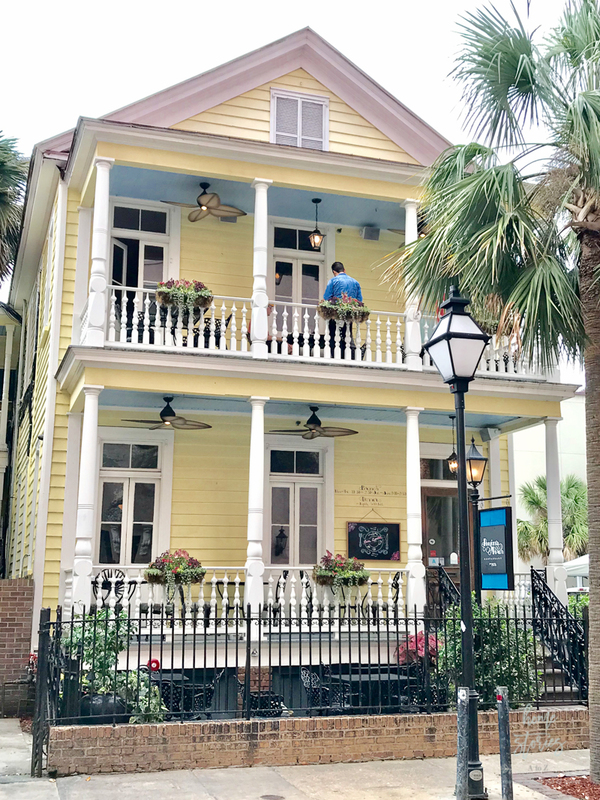 Uber to dinner at Poogan’s Porch. Walk around French Quarter and Riley Waterfront Park. 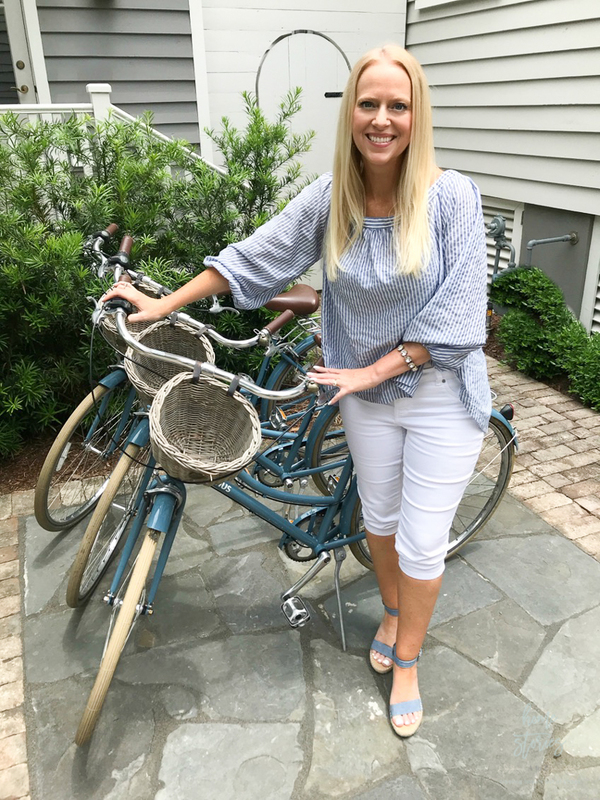 86 Cannon boutique hotel is absolutely gorgeous and the complimentary bikes made for an ideal way to see the city on our own terms! Lunch at Hominy Grill was delicious and just a short walk from the hotel. Our dinner at Poogan’s Porch was the perfect way to kick-off our first night! The food was fantastic and the decor cute. 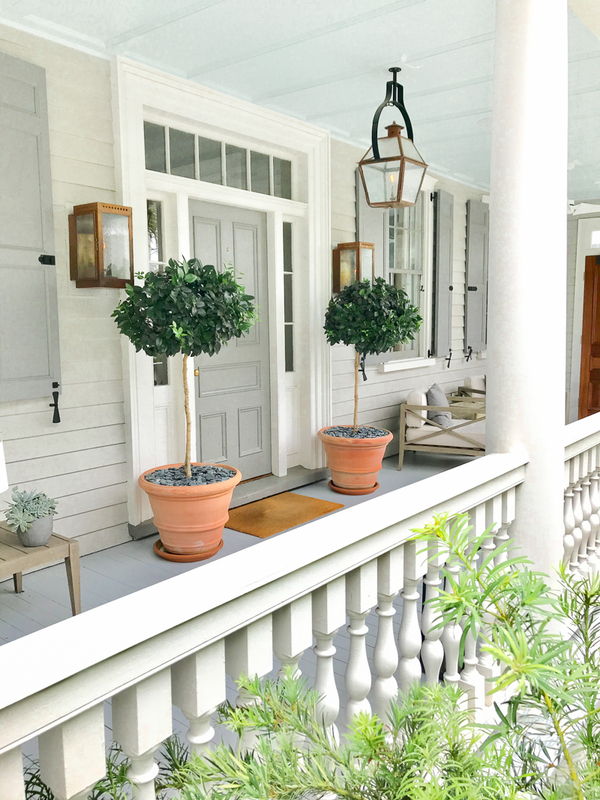 Front porch at check-in at 86 Cannon. The exquisite bedroom we stayed in complete with Farrow & Ball Lotus wallpaper at 86 Cannon. The parlor room at 86 Cannon. 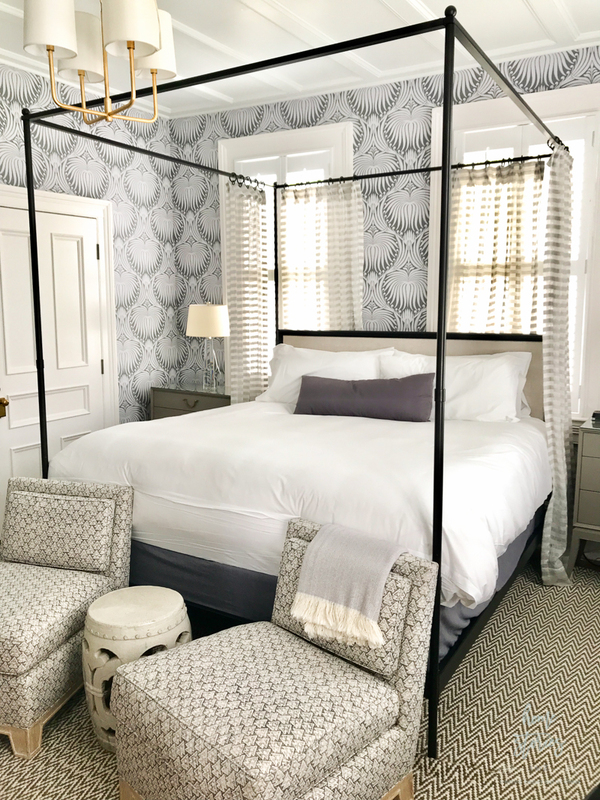 Love this grasscloth wallpaper! 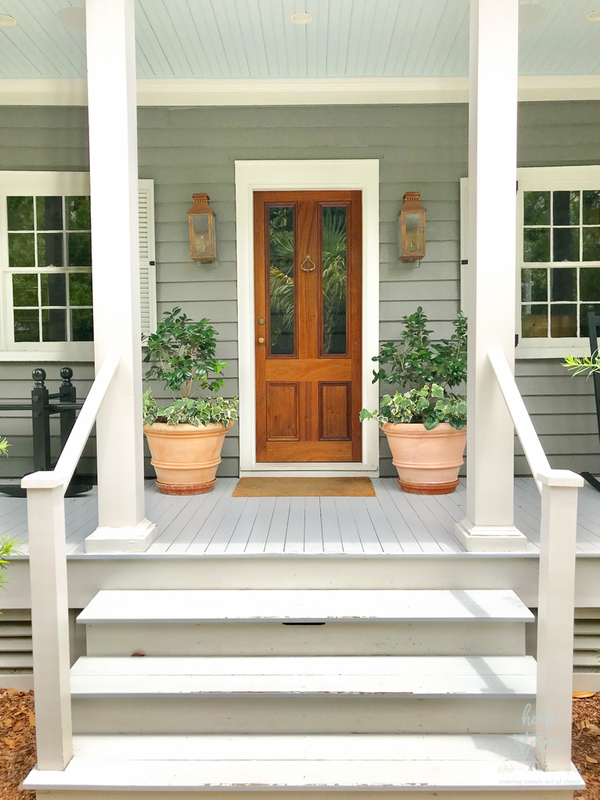 Gorgeous southern porch at 86 Cannon with haint blue ceiling and gas lantern lighting ! Adorable complimentary bikes that we made good use of at 86 Cannon! Complimentary breakfast at 86 Cannon. 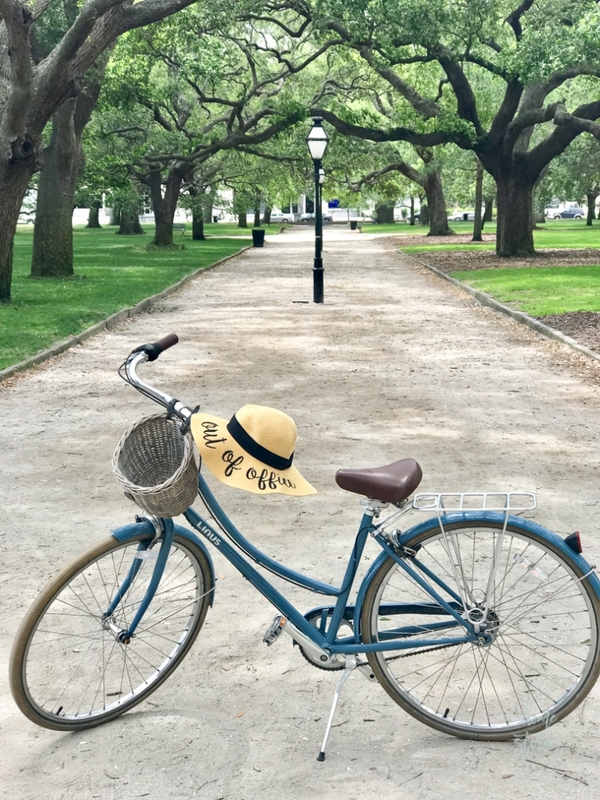 Bike riding through Battery Park, South of Broad, French Quarter and Rainbow Row. 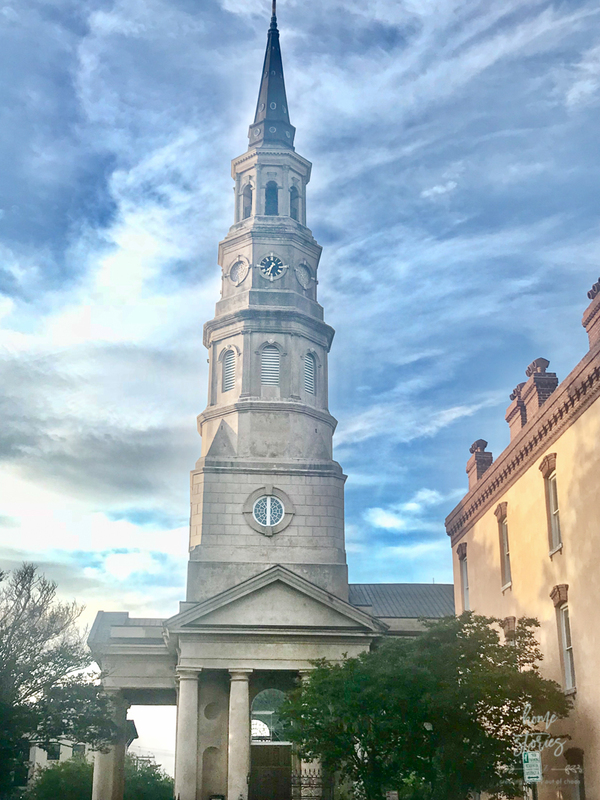 Self-tour of Dock Street Theater and St. Philip’s Church. Carriage ride with Palmetto Red Barn. Walk through City Market and tour shops. Lunch at Mills House The Barbadoes Room. Snack at Tricera coffee shop and Jeni’s ice cream. 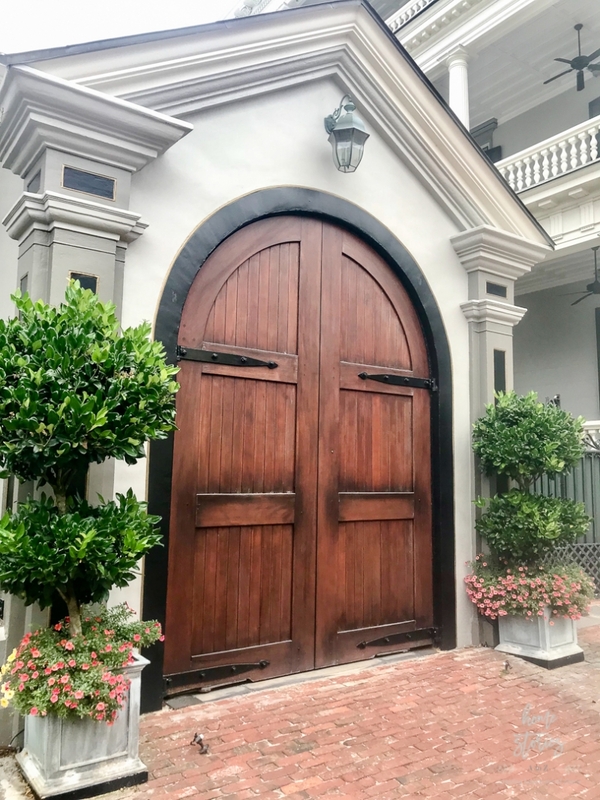 Check-out of 86 Cannon and check-in to The Vendue Art Boutique Hotel. Complimentary wine and cheese at The Vendue and Rooftop hang out time. Walk 1.5 miles to dinner down King Street and shop along the way. Dinner at The Darling Oyster Bar. 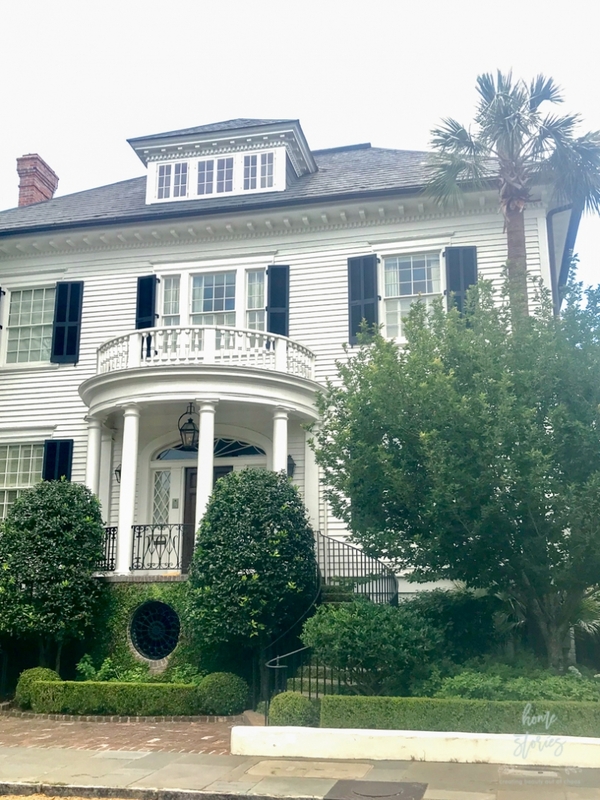 Walk over to see exterior of Aiken Rhett House and tour surrounding neighborhood. Walk back to hotel and enjoy complimentary evening milk & cookies and tour art in hotel. Gorgeous and inspiring day in the city! We walked 6.5 miles and biked another 20! My feet hurt from all of the exercise, but it was so worth it! 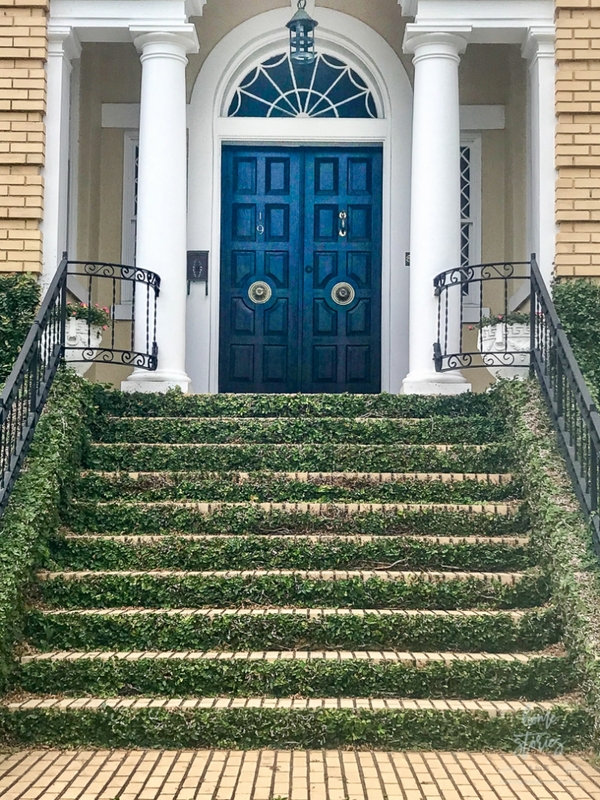 I was overwhelmed by the beauty and attention to detail in all of the neighborhoods we toured. 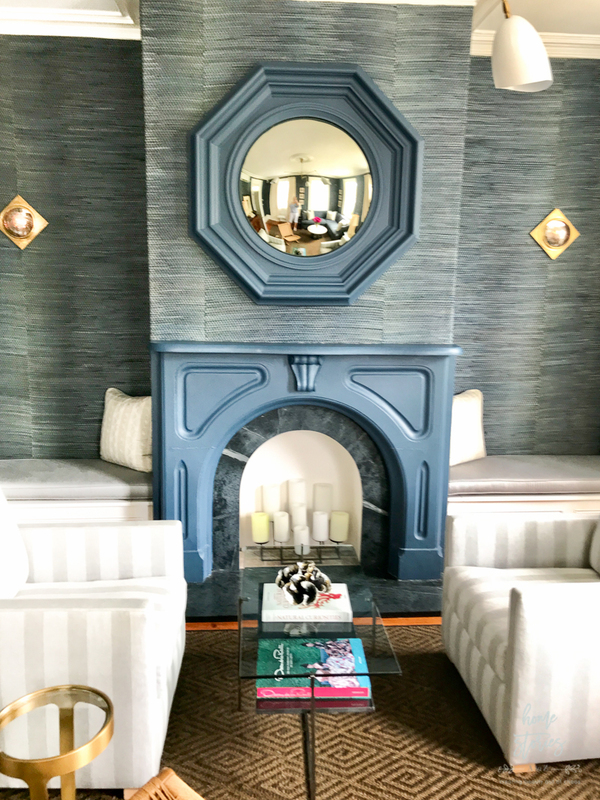 The Vendue is a quirky, fun, beautiful, and artistic boutique hotel that I highly recommend! Their customer service was amazing and our room was gorgeous. Our meals on this day were delicious at each place we dined; however, I wasn’t as impressed with The Darling as others’ seemed to be. The atmosphere and decor is fun and lively and the drinks and appetizers are delicious, but my entree just wasn’t my favorite and service was lacking. Next time, I would reserve The Darling for cocktails only and try another place for dinner. Picture of some of the homes on Rainbow Row. 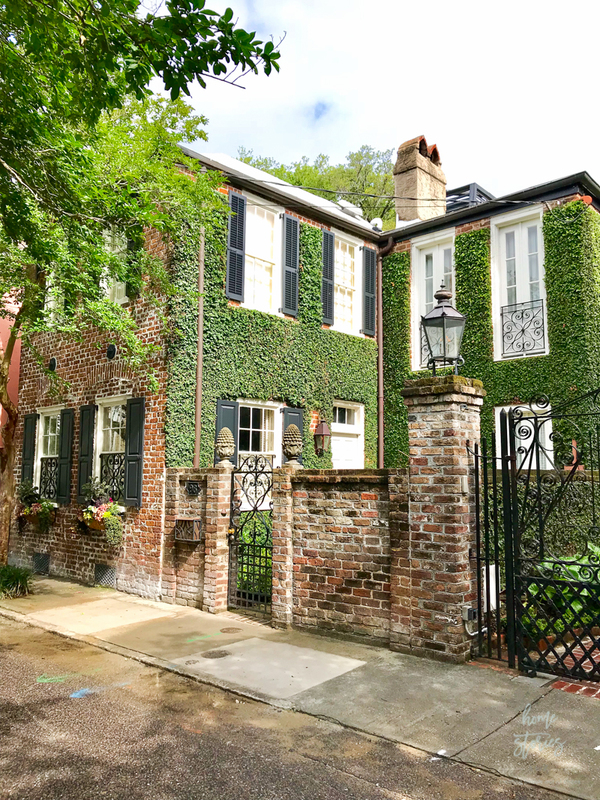 A series of beautiful homes located South of Broad. St. Philip’s Church in the French Quarter. I made good use of my cute “Out of Office” hat to keep the sun off. Purchase one for yourself here . 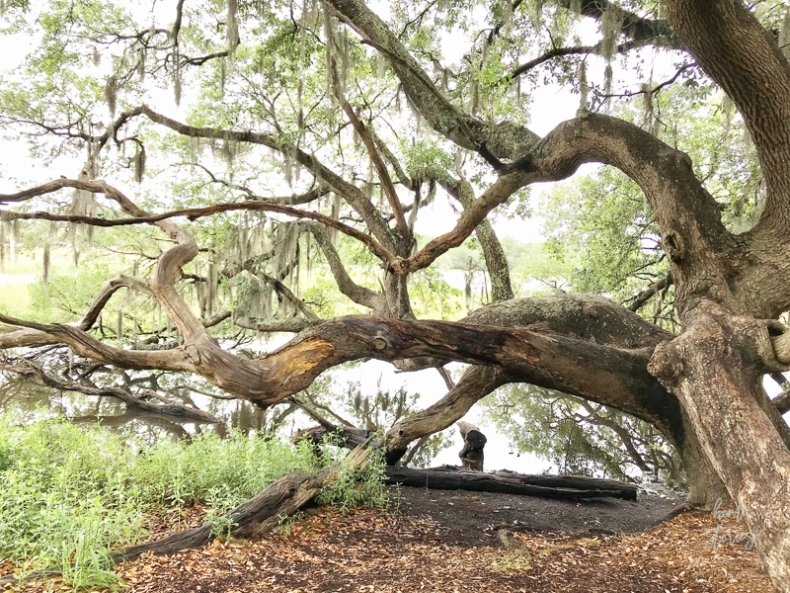 Picture of the live oaks at White Pointe Garden. Relax, enjoy hotel, and complimentary breakfast at The Vendue. 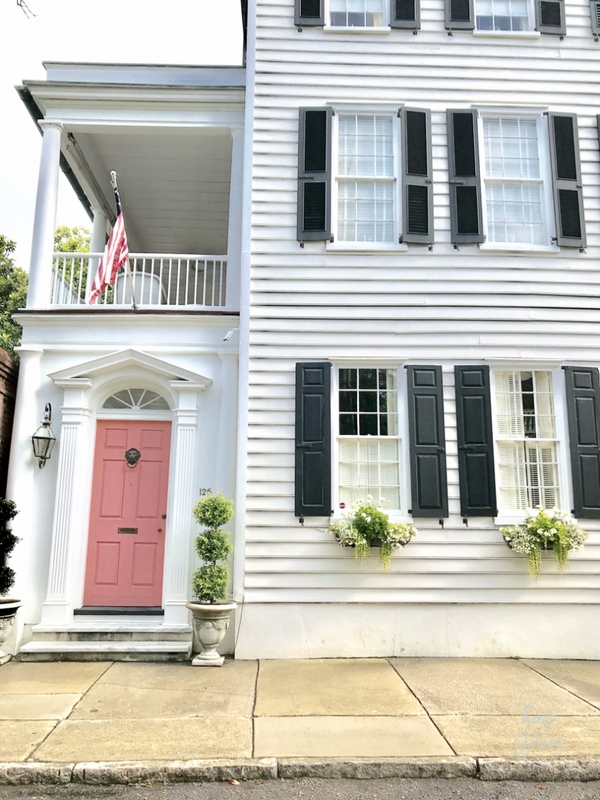 Check out of The Vendue and drive to Boone Hall Plantation. Tour grounds, house, gardens, slave houses, and butterfly exhibit at Boone Hall. Lunch at Boone Hall cafe. Drive to hotel, Tides on the Folly in Folly Beach, SC, south of Charleston. Long walk on the gorgeous beach! Dinner at Folly Beach Crab Shack. Drinks and dessert at BLU Restaurant & Bar. Our weather wasn’t the best on this day but we made the best of it and enjoyed our tour of Boone Hall Plantation. Interesting fact, the mini-series North & South and The Notebook were both filmed here. I enjoyed learning more about the slave homes and listening to the Gullah presentation. 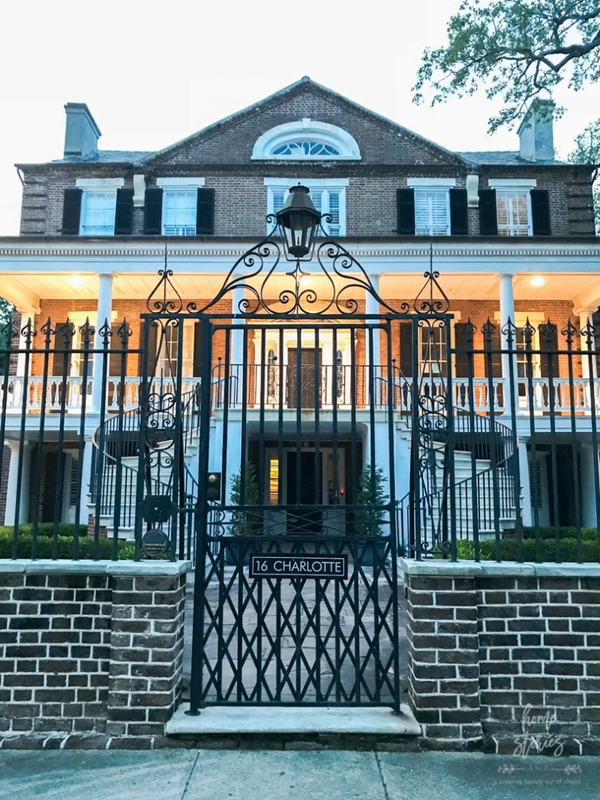 The home itself is fine but was rebuilt in 1936 so it isn’t the original plantation structure. 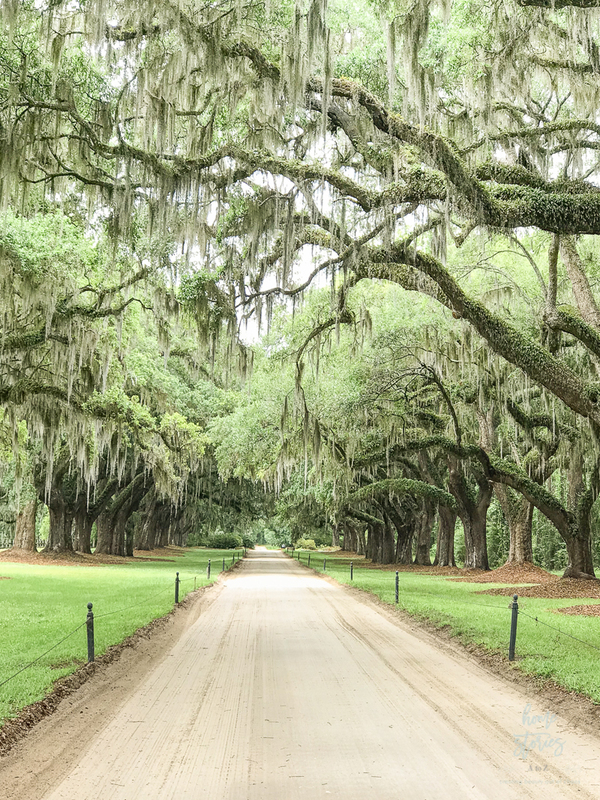 Beautiful live oaks at Boone Hall Plantation. 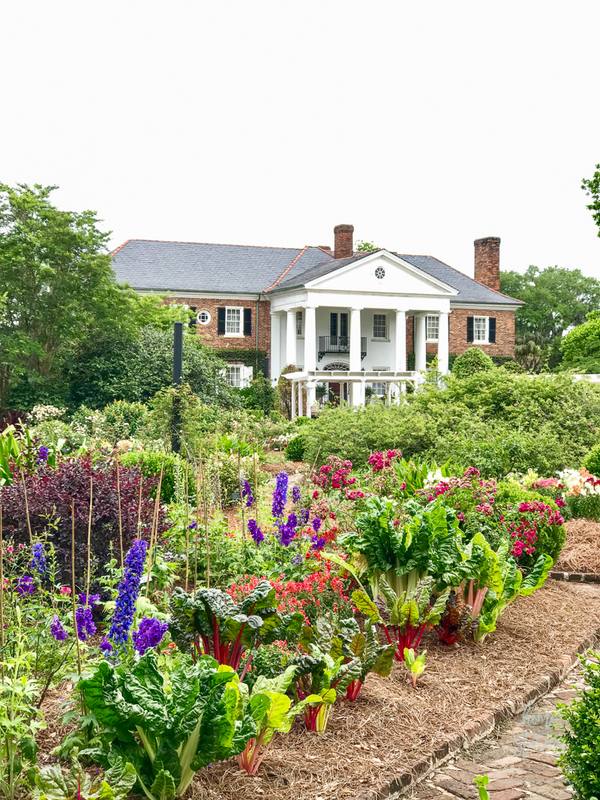 Exterior of Boone Hall Plantation taken from the gardens. Tides on the Folly beach was a wonderful and relaxing change of pace from the bustle of the city. 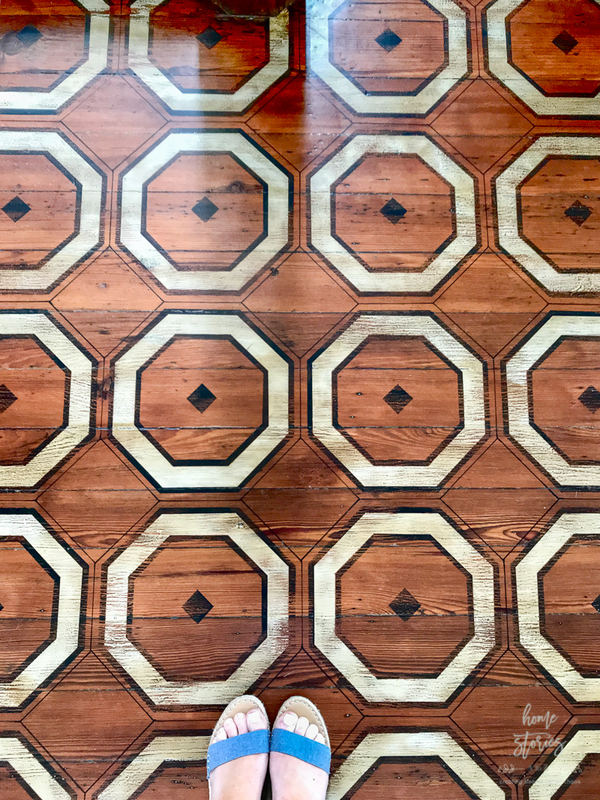 The hotel itself could use a deep cleaning and decor updating–and it was a stark contrast in customer service from the 5 star hotels we stayed at the previous two nights! However, the ocean view from every room cannot be beat and the beach itself is absolutely gorgeous! The restaurants both in the hotel and surrounding were excellent and we thoroughly enjoyed our meals! Breakfast at Roasted Coffee Shop. Enjoy beach and fishing pier. Picture taken under the pier at Folly Beach, SC. 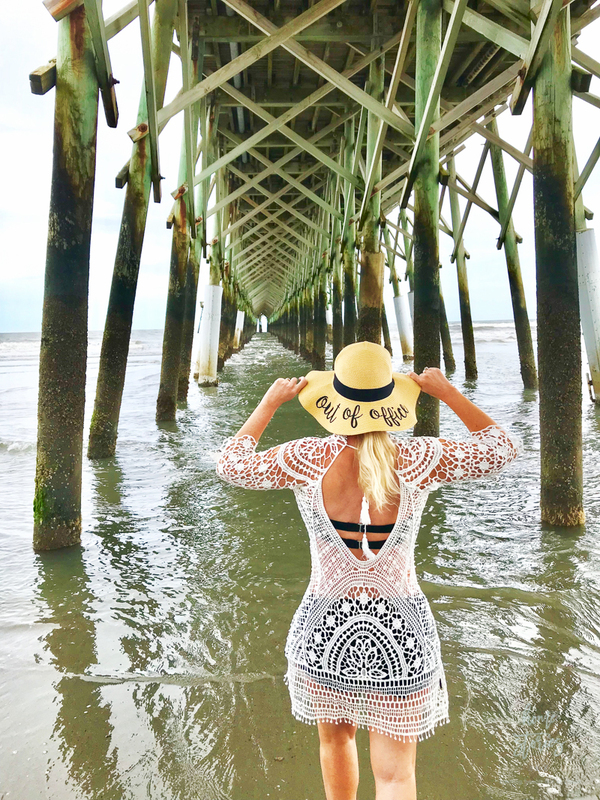 Shop my hat and lace coverup . If you stuck it out with me this far, congrats! There is a LOT of info in this post so please feel free to pin it for reference for later. 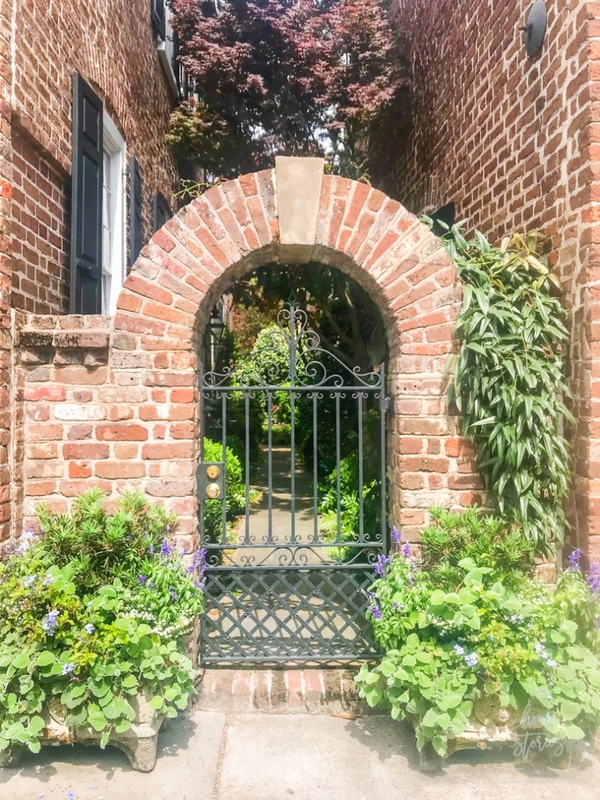 I am completely enchanted with Charleston, and I hope you get the chance to experience it (again) for yourself soon! A big thank you to everyone who sent me their recommendations! Thanks for such a great post, Beth! It looks like a fantastic trip. I am heading to Charleston in July for Haven too. 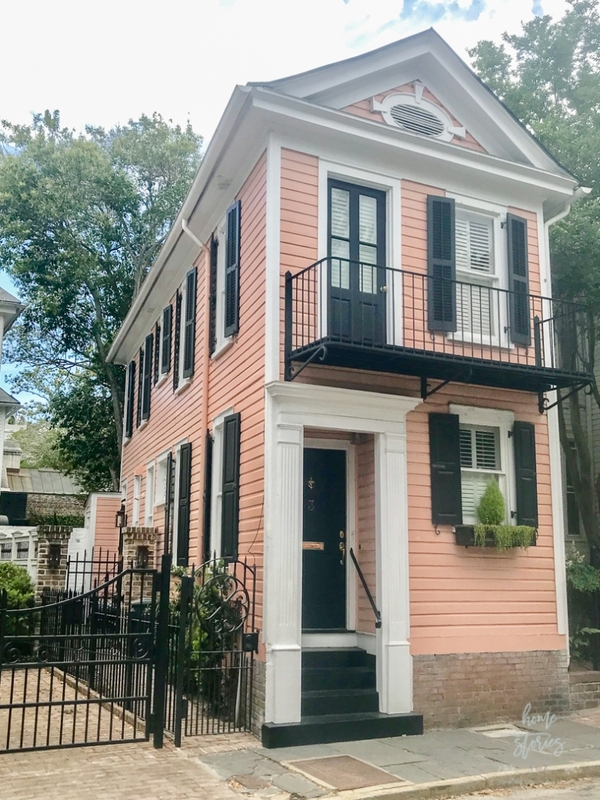 I have never been to Charleston and appreciate these great recommendations. Thanks for stopping by my blog Lynne! I’m looking forward to having our kids with us at Haven so they can experience some of it for themselves! If you go back to Folly Beach I recommend staying at either Waters Edge or Regatta Inn. I prefer Regatta as it is on Marina and has absolutely beautiful views of solphs and sunsets! The staff are wonderful and treat you like family!! Thanks for the recommendation! 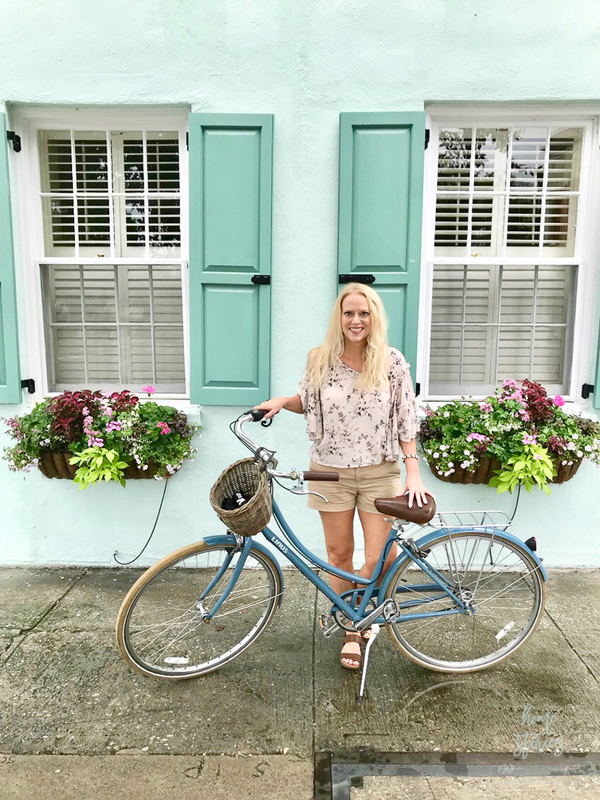 We loved Folly Beach and I definitely want to return. 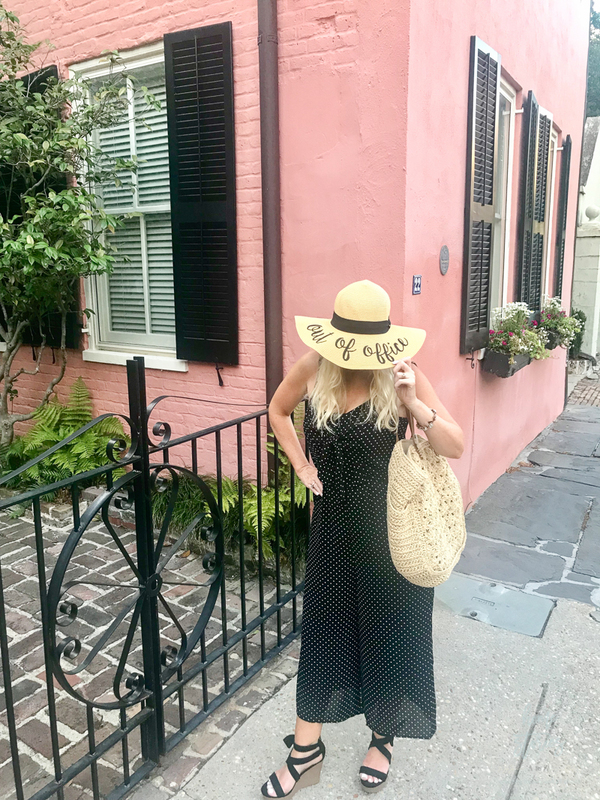 Fantastic post Beth, you really packed in a ton of Charleston into your vacation! Next stop, Savannah! Thanks Melissa! We had such a great time and I look forward to doing Savannah sometime soon! !